Schwinn exercise bikes remain quite popular these days, as they give you plenty of features and capabilities yet are very affordable at the same time. It is this combination that makes them some of the best selling cardio equipment on the market today, with a wide selection of uprights, recumbents and indoor cycling bikes for your home. Launched in 1895 in Chicago by Ignaz Schwinn and his partner Adolph Arnold, the company name became synonymous with all types of bikes in America, spanning over 100 years and still going strong today. 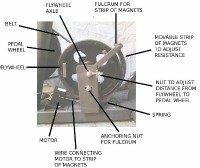 During the 20th Century, the company introduced many technologies for bikes including the balloon tire, aerodynamic frames, the anti-theft Cyclelock®, the fore-wheel brake, cantilever frame, and the spring fork. Having established its lead among outdoor bike manufacturers, Schwinn introduced the upright exercise bike for indoor fitness in 1967, and the Airdyne® stationary bike in 1978. Partnering with fitness guru Johnny Goldberg, the company brought out the trademark Spinner Bike in 1995. In 1998, the company merged with GT bicycles to form the Schwinn/GT Corporation. By 2001, the outdoor bikes division had been taken over by Pacific Cycle, while the fitness division of Schwinn/GT, including a line of elliptical trainers and treadmills, was acquired by Direct Focus, Inc., a company that was formerly known as Bowflex of America when it was founded in 1986. Direct Focus has since acquired the Nautilus and StairMaster brands as well as Schwinn. Today, the company is called Nautilus, Inc., and it manufactures the Bowflex, Nautilus, Schwinn and Universal brands of home exercise equipment. Leading the way in their revolutionary technology and quality, Schwinn exercise bikes have claimed the top spot among leading manufacturers of indoor cycling equipment. 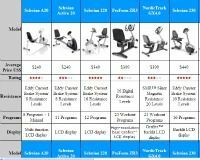 They have managed to combine quality engineering with an economical design in order to deliver an exceptional low impact cardiovascular workout for users who want to get in shape at home. According to our latest Schwinn exercise bike review, there are a handful of models currently for sale, including Uprights, Recumbents and an Indoor Cycling Bike. There are two upright models in the series: the base Schwinn 130 and the up-level Schwinn 170. 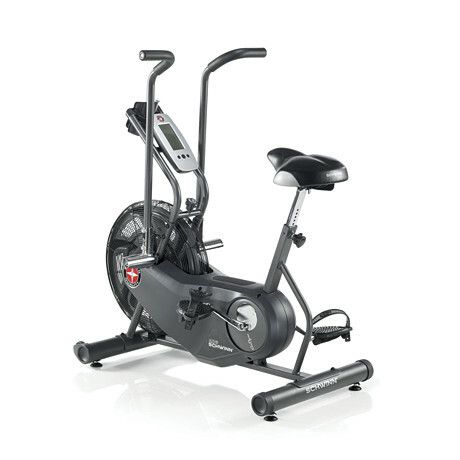 The Schwinn 130 features 20 resistance levels, 22 diverse workout programs, hand grip heart rate monitoring, DualTrack LCD display, padded seat, 1 piece pedal cranks and a max user weight of 300 lbs. Extras include a water bottle holder, 3 speed fan, tablet holder, sound system, USB charger, transport wheels and 2 rear stabilizers for support. The step-up Schwinn 170 gives you all of the features and capabilities of the base Schwinn 130, plus an additional 5 resistance levels, 7 more workouts, wireless heart rate monitoring, an enhanced display with Bluetooth workout tracking, 3 piece pedal cranks and a more comfortable seat. There are two recumbent models in the series: the base Schwinn 230 and the up-level Schwinn 270, which are essentially identical to their upright counterparts and stack up ion the same way. The Schwinn 230 matches up feature for feature with the 130, except you have a vented countoured seat and it is both heavier and has a larger footprint. Similarly, the Schwinn 270 is just like the 230, also with a thicker padde vented seat and larger dimensions. There is also an indoor cycling bike called the IC2, plus a high grade model called the AC Performance Plus, which is like a spin bike you find at the gym. This one gives you a heavy 31-lb. flywheel, infinite resistance levels, basic LCD display, adjustable foot straps and handlebars, 4 levelers and a max weight capacity of 250 lbs, as opposed to 300 lbs. on all of the other Schwinn exercise bikes. A new model in the lineup and an upgrade of the IC2, with a heavier 40-lb. flywheel and a 300 lb. max weight capacity. You also get wireless heart rate monitoring, upgraded features and a stronger warranty. This is a commercial-grade model with a 37-lb. flywheel, 6 magnet brakes, 12 degrees of incline, Carbon Blue drive system, and a 350 lb. max weight capacity. The company also produces the classic Airdyne, the large air-resistant flywheel exercise bike that hasn’t changed in function or design in decades. It is arguably the best value ever presented in a cardio machine. The base model in the series gives you a high strength fan, unlimited resistance levels, high contrast LCD, padded seat and a max user weight of 250 lbs. The mid-level AD6 gives you all of the features of the AD2, plus wireless heart rate monitoring, larger, more advanced display, more comfortable seat, a water bottle holder and a higher max weight capacity of 300 lbs. The top of the line AD7 has everything the AD6 has, plus an even more advanced console, more adjustable seat and the highest max weight at 350 lbs. Costing around $400 - $900 depending on the model you choose, the Airdynes last for 15 to 20 years or more, with little to no mechanical problems. It is still the flagship of Schwinn exercise bikes, which continues to be the top brand of indoor cycling machines in the new century. There used to be a Schwinn exercise bike called 520 Reclined Elliptical, but it was recently discontinued for some reason. Which Schwinn Exercise Bike Should You Choose? With so many types of Schwinn exercise bikes it can be difficult to decide which one to pick. Here's a quick overview for you to make it a little easier. First, decide if you want an upright, recumbent, indoor cycle or an Airdyne. The upright and the indoor cycle give you more of a road feel, the recumbent will have you seated the whole time and the Airdyne gives you moving arms so you can work the upper body while the cool fan blows on you. Why did we pick these? Because the up-level Schwinn exercise bikes give you a lot more features and capabilities than the base models, and they aren't really too much more expensive. So they are worth the additional few hundred for all that you get. 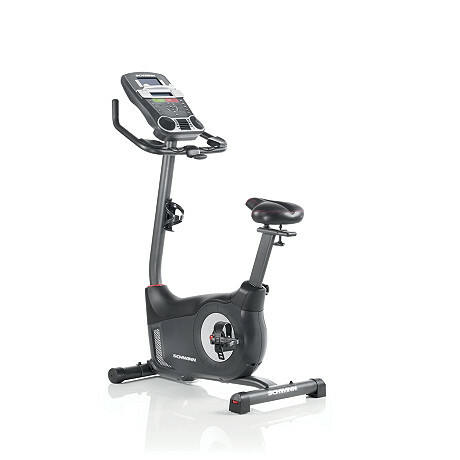 Schwinn 130 Upright - Base model in the series with 20 resistance levels, 22 workouts and plenty of adjustability. Schwinn 170 Upright - An upgrade to the 130 model with more workouts, higher resistance levels and wireless heart rate monitoring capability. Schwinn AD2 Airdyne - The Schwinn AD2 adopts the best features of the original Airdyne wind resistance technology in a quieter, smaller, easier to set up, and less expensive bike. Schwinn AD6 Airdyne - The most popular wind resistance model with improvements across the board such as the enhanced RevMeter and quieter fan. Schwinn AD7/Pro Airdyne - A higher grade version of the AD6 with more durable components and 10 built in workouts. 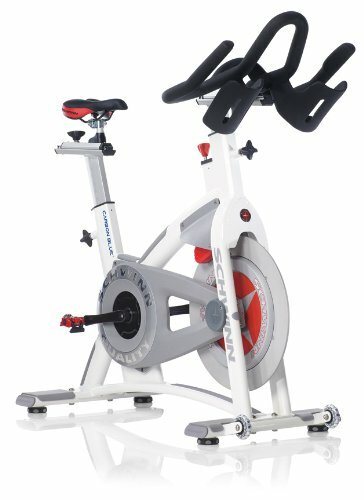 Schwinn IC2 Indoor Cycle - User reviews on the Schwinn IC2 are very favorable for this beginner’s model costing under $300 on sale. Schwinn IC3 Indoor Cycle - New model with more features and capabilities than the IC2, including a heavier flywheel, wireless heart rate monitoring and a more durable frame. Schwinn AC Performance Plus - a real winner with Carbon Blue belt drive, lightweight frame and plenty of adjustability including incline. Schwinn 230 Recumbent - Rated 4.5 out of 5 stars in hundreds of reviews written by current owners; has landed on several best buy lists at consumer research websites. 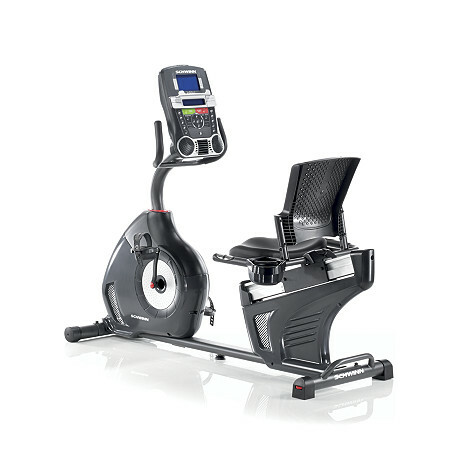 Schwinn 270 Recumbent - An improvement on the 230 with additional workout options and more resistance levels. Schwinn Magnetic Bike Trainer - This trainer gets awesome reviews from avid cyclists who have used a number of trainers and prefer this one because of the durability and low cost. Designed for bikes with a quick release rear wheel.